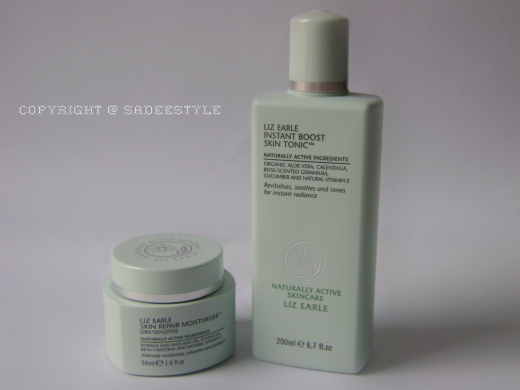 Liz Earle Naturally Active Skincare is a Great British beauty brand, founded in 1995. They are passionate about all that they do and create products that really work on every skin type by harnessing the potent powers of the finest quality naturally active ingredients. Today the product i'm reviewing is their skin booster tonic and skin repair moisturizer. Lets start with the Boost Tonic. 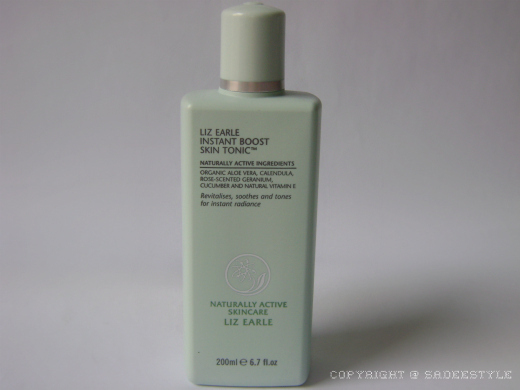 Liz Earle Instant Boost Skin Tonic comes in two types of containers one is bottle and other is spritzer also comes in various sizes to choose from.it's suitable for all type of skin and and gives extra result if you use it after Liz Earle Cleanse and Polish Liz Earle Instant Boost Skin Tonic made with natural ingredient no harm chemicals,non animal tested and alcohol free. This heavenly floral-scented, non-drying toner refreshes, soothes and brightens your skin. 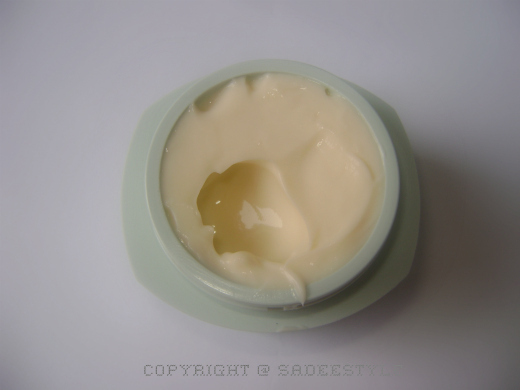 Gentle and alcohol-free, it also adds a fine layer of moisture. Pour onto a cotton wool pad and sweep over face and neck after using Cleanse & Polish Hot Cloth Cleanser. Alternatively spritz over face and body to revitalise at any time. Naturally active ingredients include organic aloe vera to revitalise and soften and calendula, chamomile, cucumber and natural source vitamin E to soothe and refresh the skin. Moisten a cotton wool pad and sweep over face and neck every morning and night after cleansing with Cleanse & Polish Hot Cloth Cleanser or using one of our special treatment masks. Whether your skin is dehydrated, oily, dull or congested, the nourishing and brightening botanicals will help to leave your skin feeling soft and looking fresh for longer. It also primes your skin perfectly for your choice of Liz Earle Moisturizer. Alternatively spritz over face and body to revitalise at any time. The fine mist can even be used over make-up. At Liz Earle, high performance, quality and safe ingredients are our priority. Aqua (water), Aloe barbadensis (aloe vera) leaf juice, Glycerin, PEG-40 hydrogenated castor oil, Cucumis sativus (cucumber) fruit extract, Calendula officinalis (calendula) flower extract, Anthemis nobilis (chamomile) extract, Humulus lupulus (hops) extract, Panthenol, Allantoin, Tocopherol (vitamin E), Tocopheryl acetate, Parfum (fragrance), Citronellol, Coumarin, Geraniol, Linalool, Sodium hydroxide, Phenoxyethanol, Benzoic acid, Dehydroacetic acid, Ethylhexylglycerin, Polyaminopropyl biguanide. I used this for a couple of week and can see an extra smoothness on my skin it worked well on my dry skin and smell is really amazing they did'n added any harmful chemicals or artificial scent into it when you twist up cap you will feel refreshing fragrance of roses it contains essential oils,lavender and rose scented geranium it's so mild and it's 100% natural ingredients leaves my skin so soft and smooth after the use of 2 weeks i have very dry skin and have no problem using this i would recommend you to use this product. This perfectly balanced moisturizer softens, smooths and conditions skin for a naturally healthy glow.Rich in natural actives, including borage oil (a rich source of the essential fatty acid GLA) and natural antioxidants beta-carotene and vitamin E to replace lost moisture and help protect dry/sensitive skin.Massage into face and neck, morning and night, after Instant Boost Skin Tonic.Naturally active ingredients include borage and avocado oil to intensively moisturise, smooth and protect. Gently massage Skin Repair Moisturiser into face and neck morning and night after Instant Boost Skin Tonic. Benzoic acid, Ethylhexylglycerin, Polyaminopropyl biguanide. I really like the tonic! The moisturizer i would definitely use in the winter. 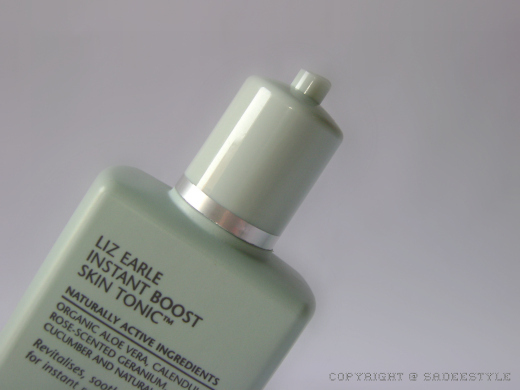 Great review, I love Liz Earle products, the above two products especially :). Great review! 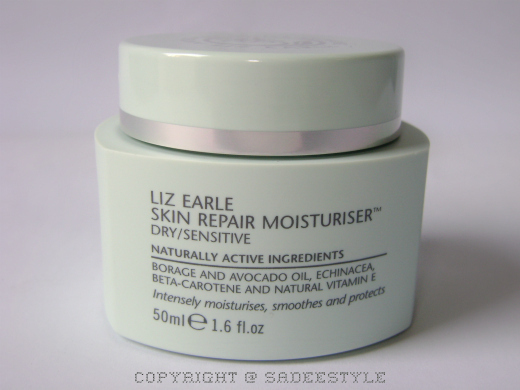 I have never tried Liz Earle, but this cream looks amazing! I have no luck finding this product in any beauty store in my block. Where did you buy yours? I just had a diamond peel treatment and I need a great moisturizer. I just want to say I am all new to blogs and absolutely liked you’re blog site. I truly enjoy reading on this internet site. You definitely have really good articles. Regards for revealing your web page.